Samantha Swift and the Fountains of Fate Strategy Guide is rated 3.0 out of 5 by 2. 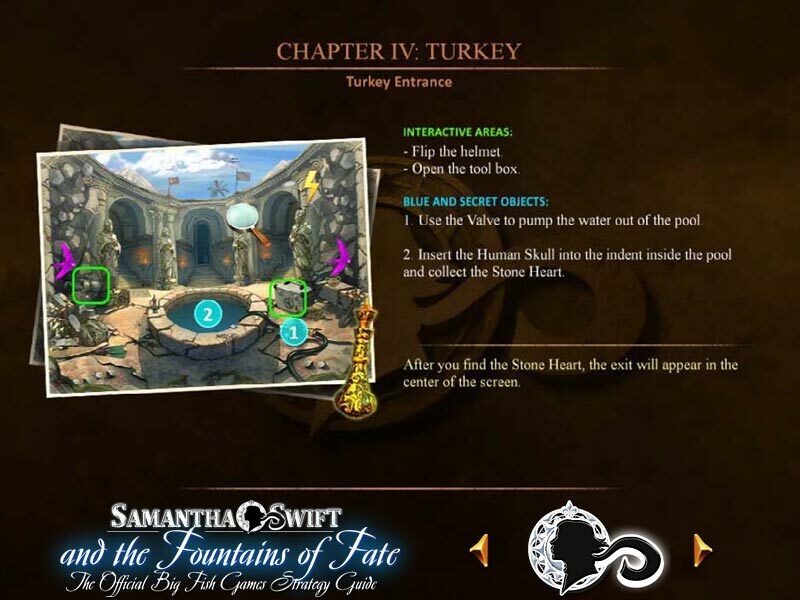 Rated 3 out of 5 by Dixie_Redhead from SAMANTHA SWIFT AND THE FOUNTAIN OF YOUTH This is an okay game. It is not as interesting or compelling as the first two SS games. The strategy guide is definitely not needed. Don't waste your money. I recommend this game to while away a few hours on a relaxing night at home. 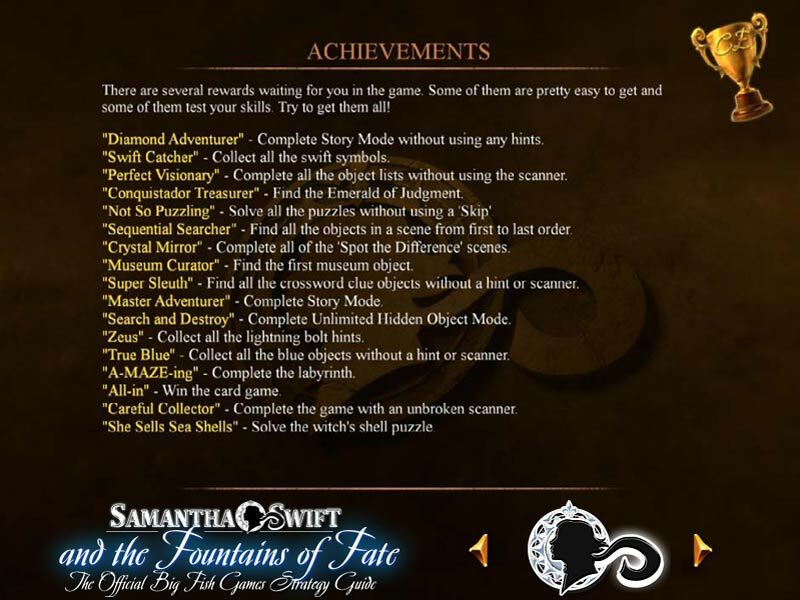 Rated 3 out of 5 by cathain3 from You don't need this The Sam swift games are all pretty easy to play and you never need a strategy guide for them. There are plenty of hints to help you if you get stuck. Just buy the games and enjoy them, but don't waste your money on this guide because you will not need it, guaranteed.